The second article in this series showed the huge advances in watercolour painting during the first half of the nineteenth century, which made the medium popular, and increasingly so for those engaging in ‘new’ trends: landscapes, plein air paintings, amateurs, and women painters. The specialist art supplies industry also grew during the century. New technology was used to improve the handling of watercolour and gouache paints, to keep them liquid, and deliver them in tubes, just like oil paints in the latter half of the century. Tubed watercolour paints made it easier for painters to work on larger paintings, which were also aided by advances in papermaking which offered larger sheets of paper of more consistent sizing and quality. The rise of industrial chemistry led to the introduction of new pigments, many of which were more resistant to fading from exposure to light. 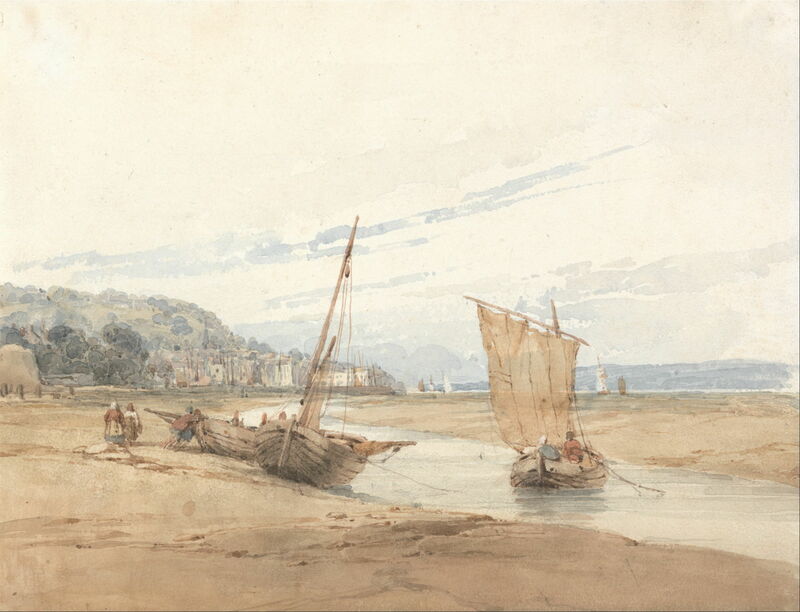 Richard Parkes Bonington’s skilful use of transparent watercolour in painterly views of the Normandy coast inspired many professionals and amateurs to try their hand with watercolours. They became a standard part of the education of young ladies, and royal endorsement by Queen Victoria herself made proficiency at watercolour painting essential to those women who sought to marry ‘well’. 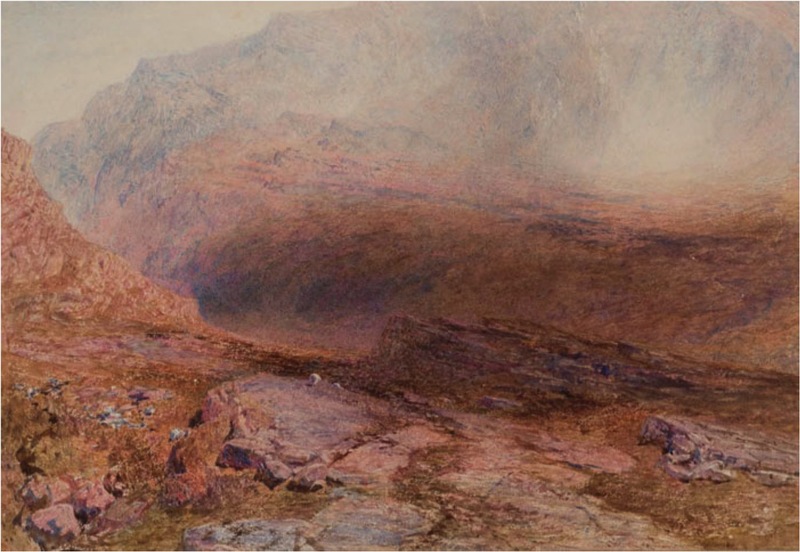 JMW Turner’s radical techniques and style became more acceptable and accepted, as artists like Alfred William Hunt sought to convey impressions of the savage beauty of wilder areas, here Glen Nevis, Scotland (c 1857). 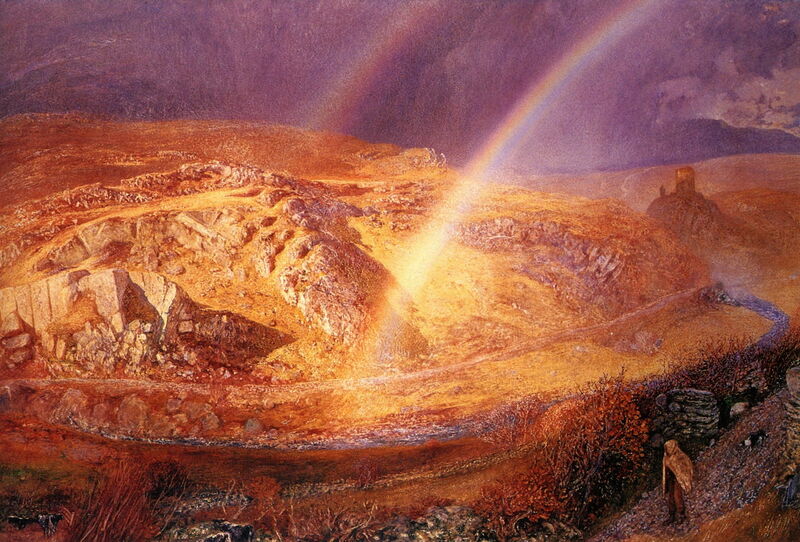 Alfred William Hunt (1830–1896), A November Rainbow – Dolwyddelan Valley, November 11, 1866, 1 p.m. (1866), watercolour, 49.5 x 74.9 cm, Ashmolean Museum, University of Oxford, Oxford. The Athenaeum. Hunt and others applied their paint to both wet and dry paper, on top of layers of existing paint both wet and dry, removed it by scratching and blotting, and used wax crayons to make details which would remain free of paint. 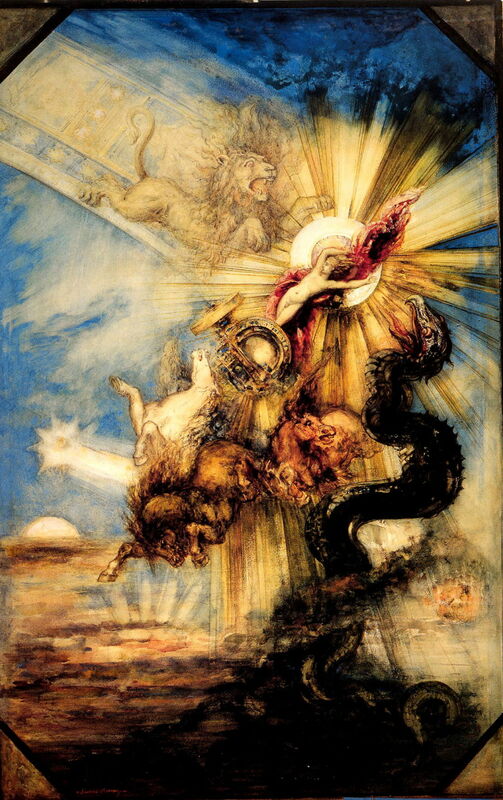 They were thus able to create paintings with varied textures and effects which rivalled works in oils. As with pastels earlier, watercolours became popular for portraiture, although the most sought-after portrait painters like John Singer Sargent still preferred to work in oils. 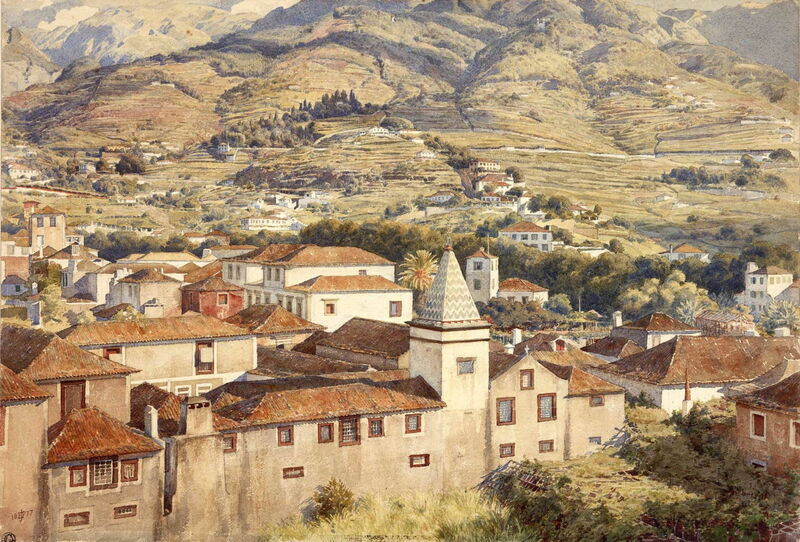 Edward Poynter’s Funchal, Morning Sun (1877) is another good example of the highly detailed topographic view which had evolved. Neither was watercolour neglected on the European continent. 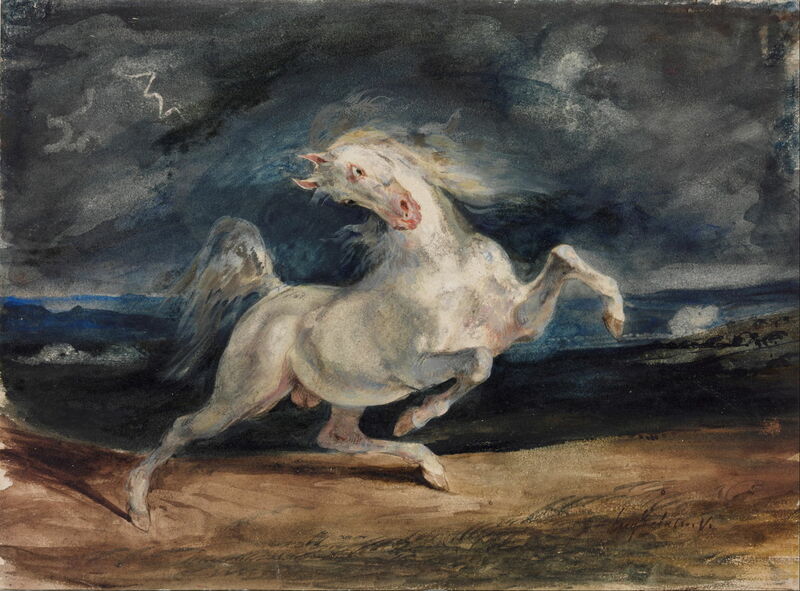 Eugène Delacroix not only made studies for finished oil paintings using more opaque paints, but he used a range of advanced techniques with them, as shown in his spirited Horse Frightened by Lightning (1825-29). 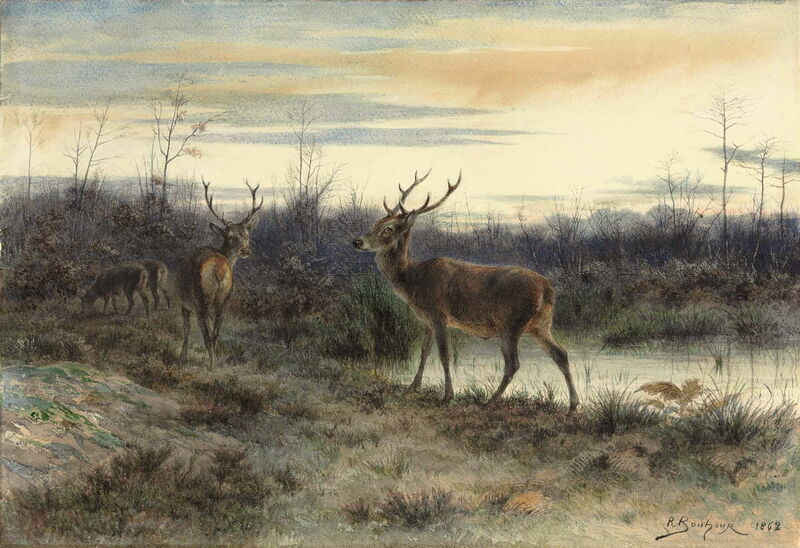 Rosa Bonheur (1822–1899), Deer in the Forest of Fontainebleau (1862), pencil, watercolour and gum arabic, 34.4 × 50 cm. Private collection. Wikimedia Commons. The French animal painter Rosa Bonheur is better-known for her works in oil, but for much of her career she also used watercolour with great success. During the nineteenth century, watercolour became the preferred medium for most women painters, who had previously often used pastels. Considered to be much less messy than oils, and less dusty than pastels, watercolour paint is easier to remove from skin and clothing, and its use of water as the diluent and cleaning solvent was seen as much more socially acceptable. 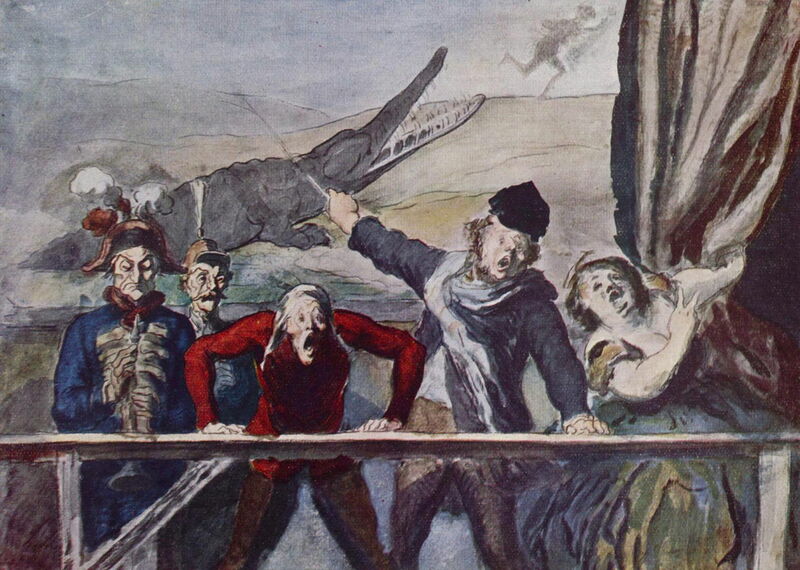 Opaque watercolour and gouache became the preferred medium for more illustrative work, including the incisive satire of Honoré Daumier, seen in his The Parade, or Street Circus (c 1860) above. 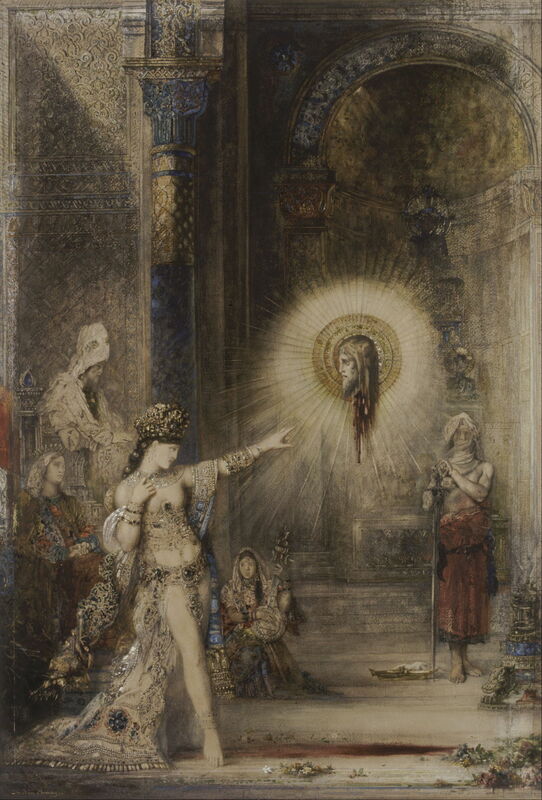 Gustave Moreau was one of the greatest French exponents of watercolour during this period. 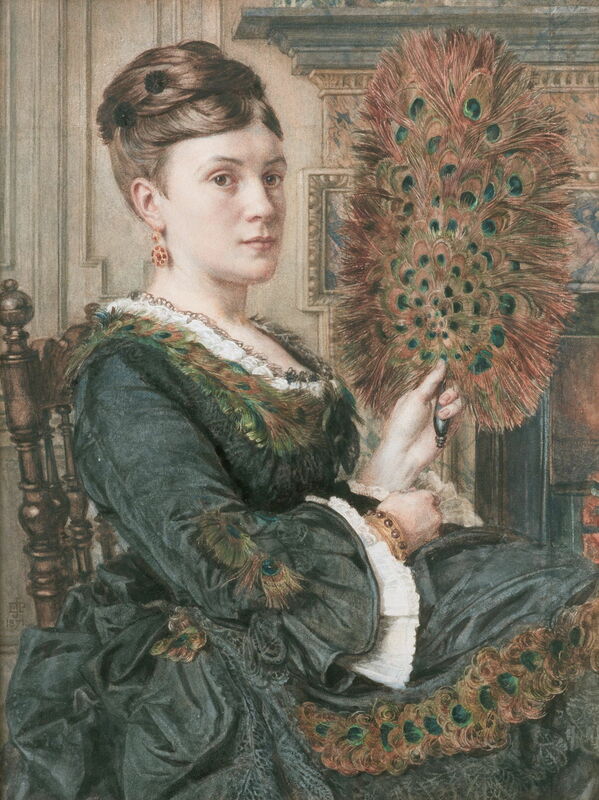 He seemed able to switch between oils and watercolours with ease, such that this watercolour version of The Apparition (c 1876) was shown at the Salon, following which he painted a version in oils. North America also saw a rise in the use of watercolours by both professional and amateur painters. 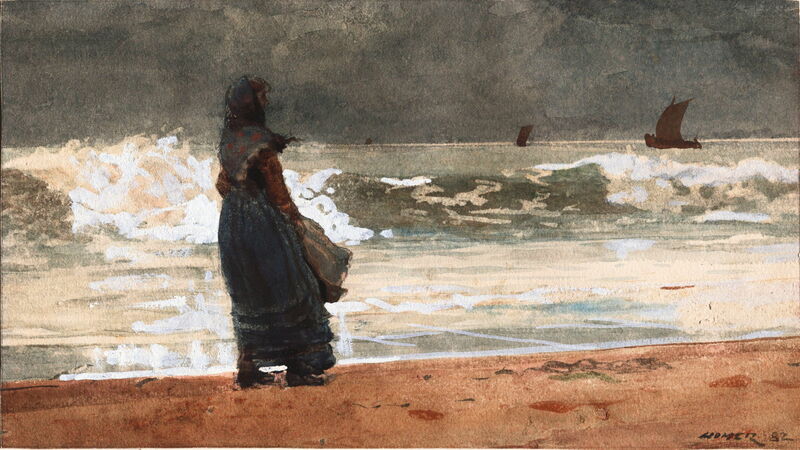 In addition to their specialist use by the bird painter John James Audubon, and by some of the Hudson River School for landscapes, Winslow Homer was among the foremost practitioners. 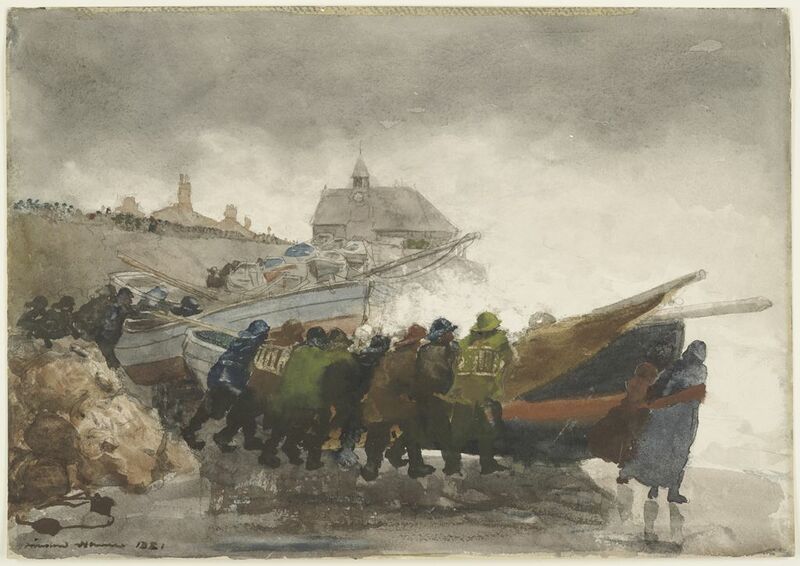 Homer developed his techniques and style during his stay in the English fishing community of Cullercoats in 1881-82, when he painted almost exclusively in watercolour. This is another good example of Homer’s use of sophisticated techniques to produce highly atmospheric paintings. 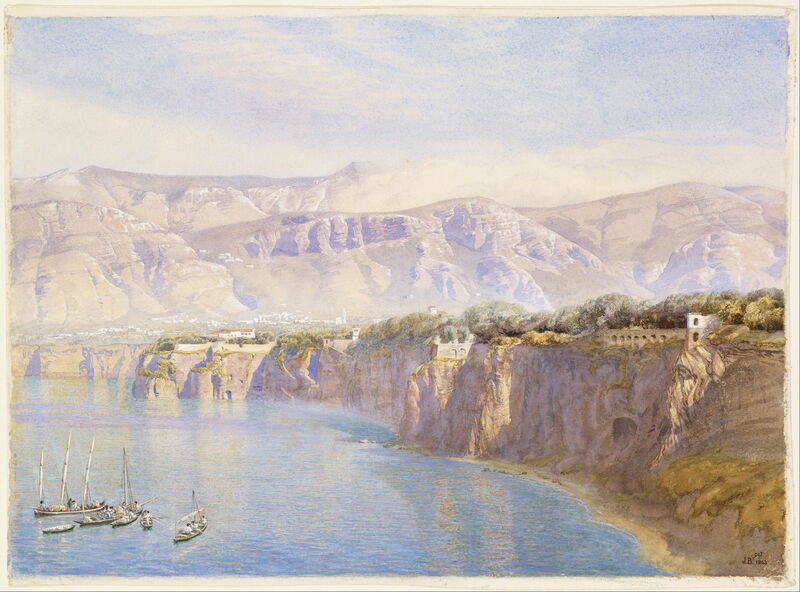 By the late nineteenth century, watercolour had become established as the medium of choice for many important artists, as well as the most popular among amateurs. It was widely available in cakes which were most suitable in small portable kits for painting en plein air, in pots, and tubes. Brush suppliers offered a wide range of specialist brushes designed to hold water and facilitate watercolour techniques. 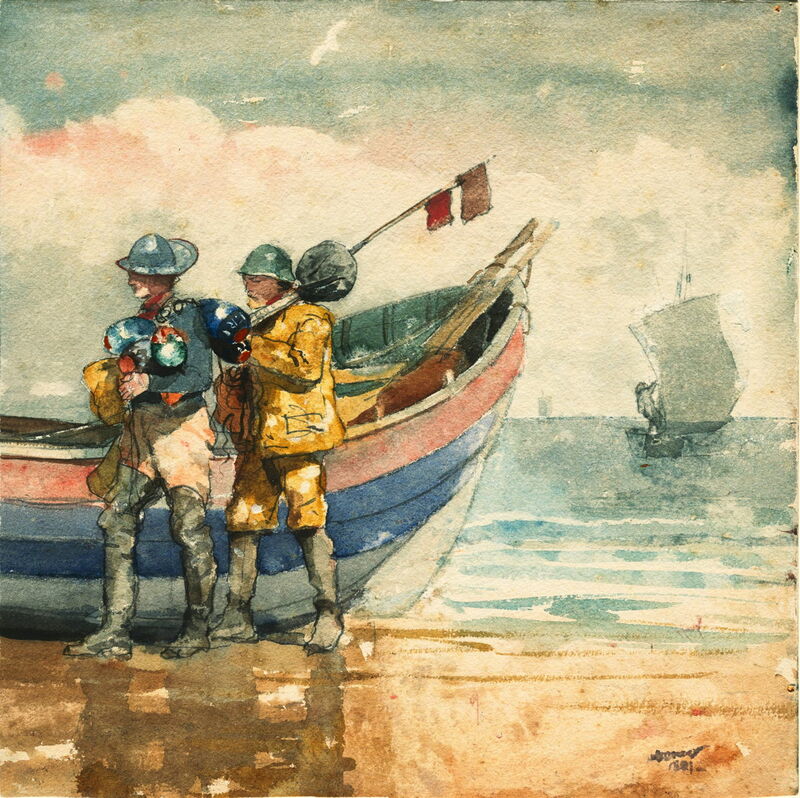 Most importantly, it had displaced the use of oils in most educational establishments, ensuring that future generations of painters would see watercolour as a first class medium, not just an elaborate means of drawing. Posted in General, Painting and tagged Bonheur, Bonington, Brett, Daumier, Delacroix, history of painting, Homer, Hunt, Moreau, painting, Poynter, watercolour. Bookmark the permalink.